Dr. Rami Burstein is a professor of anesthesia and neuroscience at Harvard Medical School and vice chair of Anesthesia, Critical Care and Pain Medicine Research at Beth Israel Deaconess Medical Center in Boston. He started studying headache in the 1990s and currently studies how and why people with migraine experience light sensitivity. What exactly causes migraine-related sensitivity to light? Sensitivity to light, which is called photophobia, has been around for many years. But until about 2010 we really didn’t have any understanding of what it is that allows light to be painful. We studied blind patients with migraine and found out that blind patients with migraine are divided into two groups. Those who are completely blind, when they have a migraine, you can shine light in their eyes and it will not hurt them. There’s another group of blind patients: The largest group are actually blind patients who can detect light. These patients, when they get a migraine—even though they are blind—light makes their headache more painful. 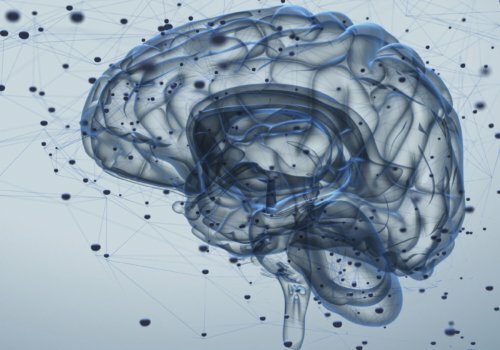 So what we learned at the end of this study was that there is a direct wire that goes from the retina into the part of the brain, the thalamus, that converges with neurons that are active during migraines. Are there ways for people with migraine to avoid pain caused by light sensitivity? When we finished this study, we realized that we were studying blind patients who could still detect light because one group of photoreceptors that was discovered only around 2000 still survived the blindness. These photoreceptors were extremely sensitive to blue. When you study patients with normal eyesight, the story is completely different. What we found is that migraine patients with normal eyesight, for the most part, are equally sensitive to blue, red, yellow and white. They are equally painful. The only color of light that, No. 1, does not make their headache more painful, and No. 2, can actually reduce the headache, is green. We then went to try to understand it, and to our surprise, found out that the human retina generates an electrical signal that is smaller in response to green than in response to any other color of light. What percentage of migraine patients have sensitivity to light? The literature has some margin, but the common notion is about between 85 and 90%. Photophobia is the most common of all the phobias. What questions should a general practitioner ask a migraine patient to diagnose sensitivity to light? In an academic center there is equipment that allows you to make a very distinct diagnosis of sensitivity to light in a scientific way. 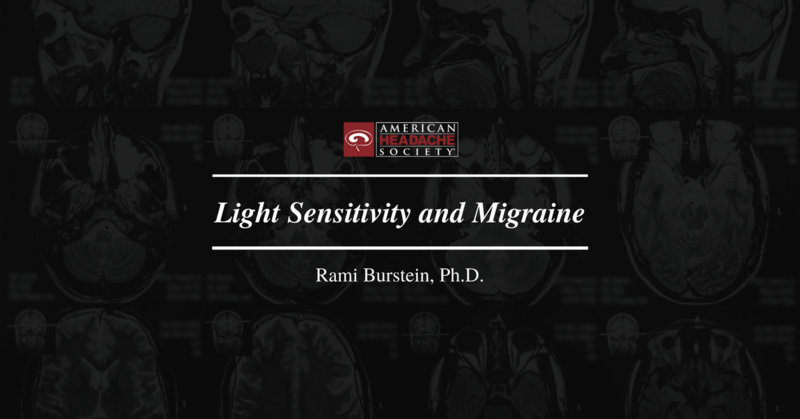 Dr. Burstein is a member of the American Headache Society, a professional society for doctors and other health care workers who specialize in studying and treating headache and migraine. The Society’s objectives are to promote the exchange of information and ideas concerning the causes and treatments of headache and related painful disorders, and to share and advance the work of its members. Learn more about the American Headache Society’s work and find out how you can become a member today. The American Headache Society founded the American Migraine Foundation (AMF) to provide access to information and resources for individuals living with migraine, as well as their loved ones. AMF is a non-profit organization dedicated to the advancement of research and awareness surrounding migraine. You are now being redirected to the AMF website where patients can learn more, find help and get connected.